Mid-20th Century buildings tower overhead as shoppers hustle between vintage stores in search of their next great discovery. It’s the First Weekend in the West Bottoms, which means that many of the most prominent and popular antique dealers open their shops to reveal their thrifty picks to the masses. Where hipsters vibe and antique shoppers thrive. 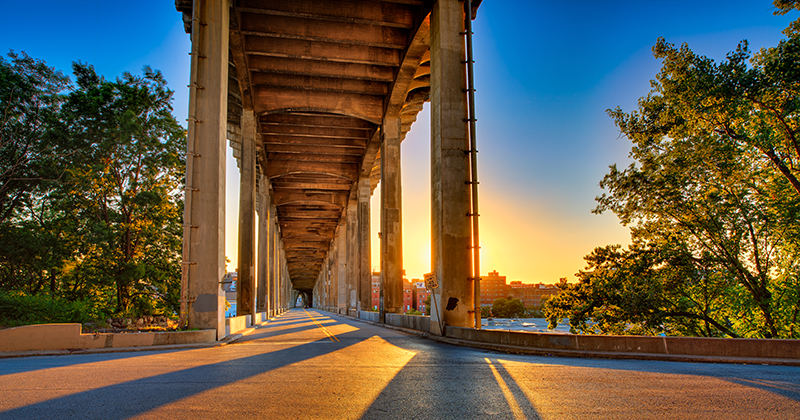 No longer an insider secret, there’s never a shortage of history to discover or treasures to find in this hip, historic district that in many ways embodies the past, present and future of Kansas City. 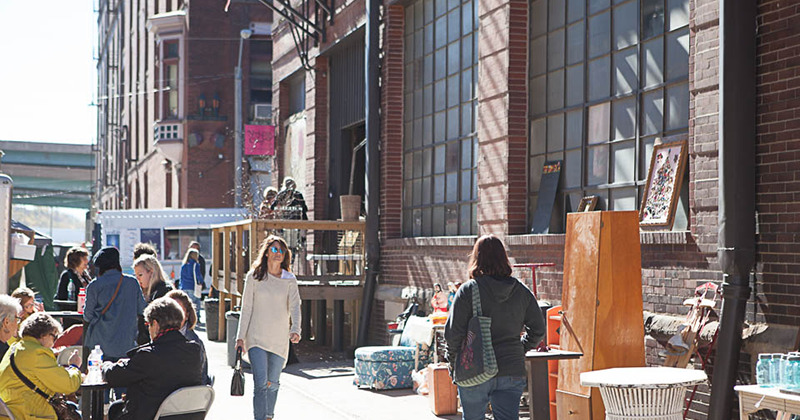 Thrifty pickers flock to the West Bottoms at the beginning of each month for First Weekends, when antique sellers open their shop doors for the masses. Treat your taste buds to a tour of KC’s wine scene with a tasting at Amigoni Urban Winery; just be sure to take a close look at the architecture in this century-old building. 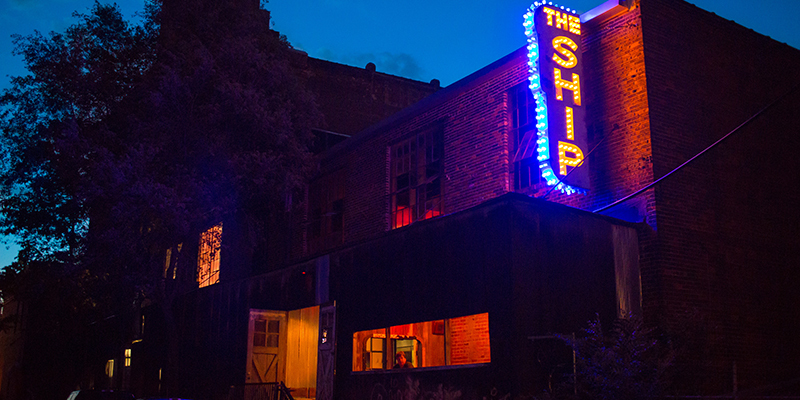 If you’re in search of something retro, check out The Ship, a classic cocktail bar that hosts live jazz and soul performances as well as rare record parties. During fall, thrill seekers need look no further than Edge of Hell or The Beast, two of the spookiest haunted houses in town (and Halloween traditions since 1975 and 1991, respectively). 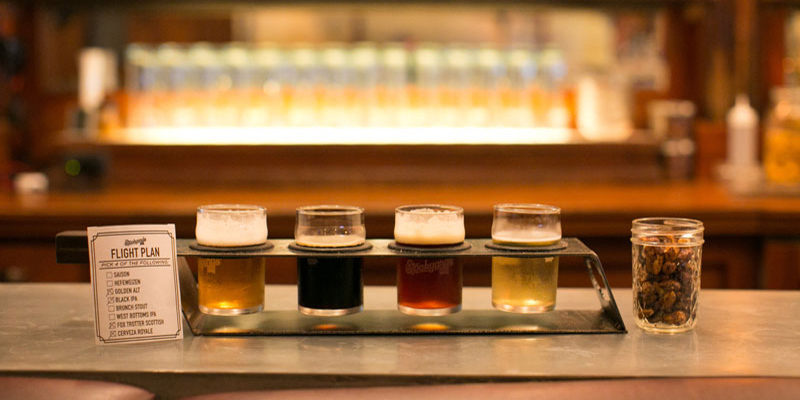 Swing by Stockyards Brewing Co. to sample a West Bottoms take on Kansas City’s booming craft beer scene. Once the site of the country’s second-largest stockyards, the West Bottoms now features the American Royal Complex, a facility that’s home to livestock shows, rodeos and other events that serve as a reminder of KC’s Western heritage and flavor. Or, channel your inner-lumberjack at ax-throwing hotspot Blade & Timber. Visit Hy-Vee Arena—home of the 1988 Final Four and formerly known as Kemper Arena—for everything from basketball and volleyball to pickleball in a totally renovated, state-of-the-art facility. Part of the West Bottoms experience is being there and exploring it yourself. And whether you show up in search of a specific item or with no expectations at all, you’re sure to find artifacts from generations past at antique stores such as Good Ju Ju. Open only the first Friday and Saturday of each month, Good Ju Ju has been recognized multiple times as KC’s best antique and vintage store. Need a pick-me-up? 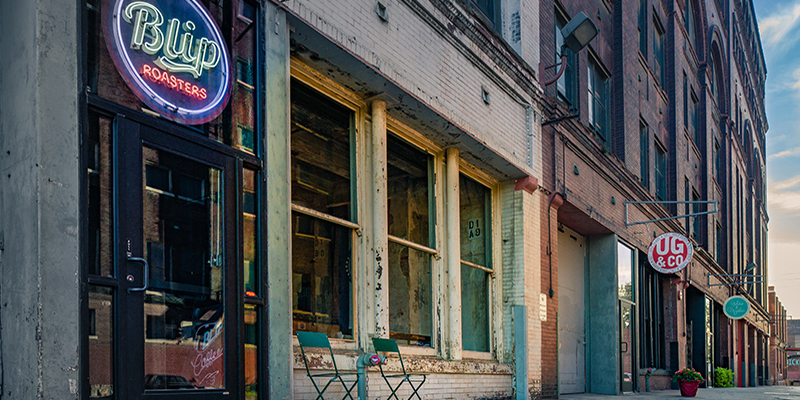 Roll by Blip, a coffee shop and haven for motorcycle enthusiasts. Celebrate your latest antique purchase by treating yourself at Voltaire, an excellent bistro serving up inventive craft cocktails and globally-inspired small plates. The owners also revived the Golden Ox Restaurant, a classic Kansas City steakhouse. Grab a pre- or post-dinner cocktail at stylish cocktail lounge The Campground. 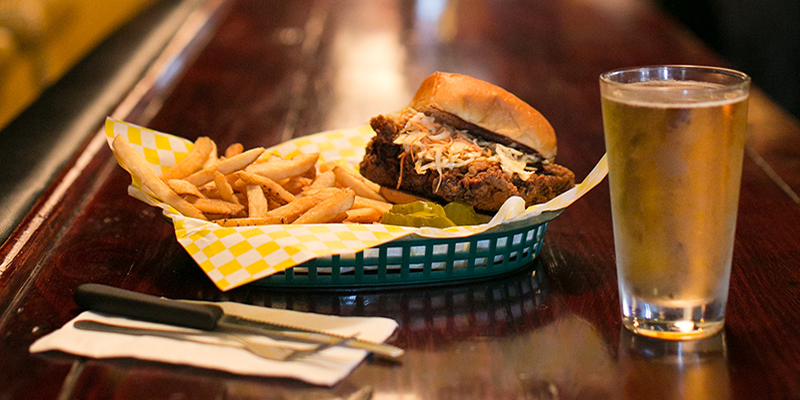 After a couple drinks, head next door to grab dinner at Lucky Boys, a lounge-like eatery and hangout spot with a bar food menu as eclectic as the furnishings. The next morning, try EJ's Urban Eatery for soulful meat + three menu and daily specials that constantly amaze.